MacManus in his dorid incarnation, Mac-1. Robots with moustaches, man. 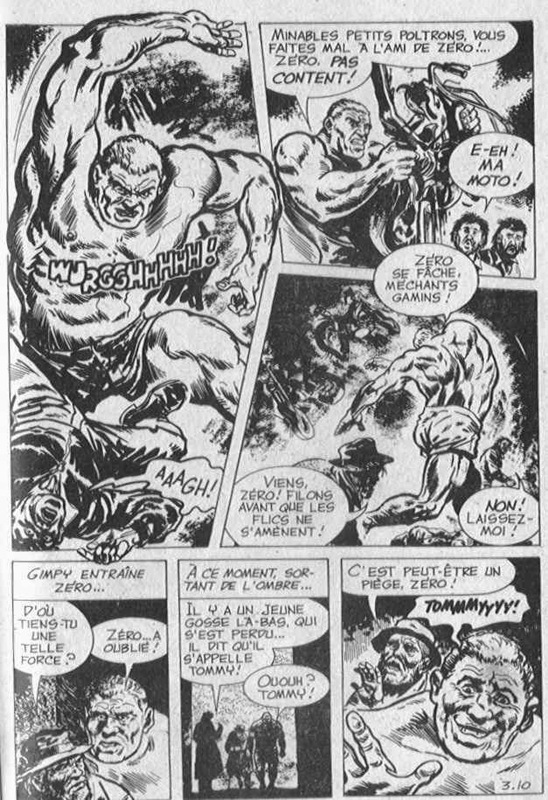 I can’t be sure, but MacManus, credited as Ian Rogan, is, I think, the creator of MACH 0, 2000AD’s answer to the incredible Hulk. I’m a big fan of MACH 0 the character, from the pun of the name itself, to the delightfully brutal way the character was drawn and dialogued. WUUUURRGHHH! MacManus may or may not have written the occasional tales of Tharg the Mighty that used to appear every now and then back in the early years. 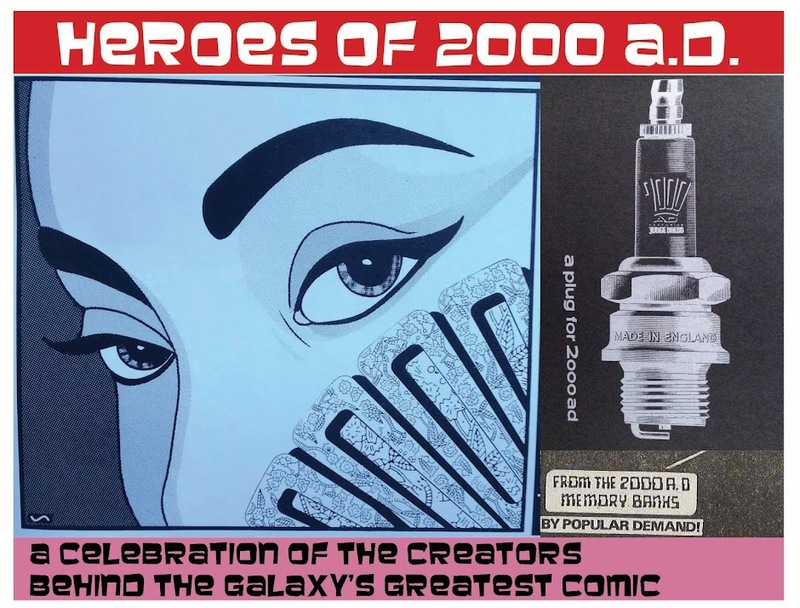 These stories are hard to assess as pieces of work in their own right, outside of their original context - but as part of the flavour of 2000AD, they were great. I’m too young to have read them when they were first printed, but they were always a treat when stumbling across one in a back prog purchase, or in a Best of reprint. Other opinions are available. MacManus moves from Battle to be a sub-editor on StarLord. 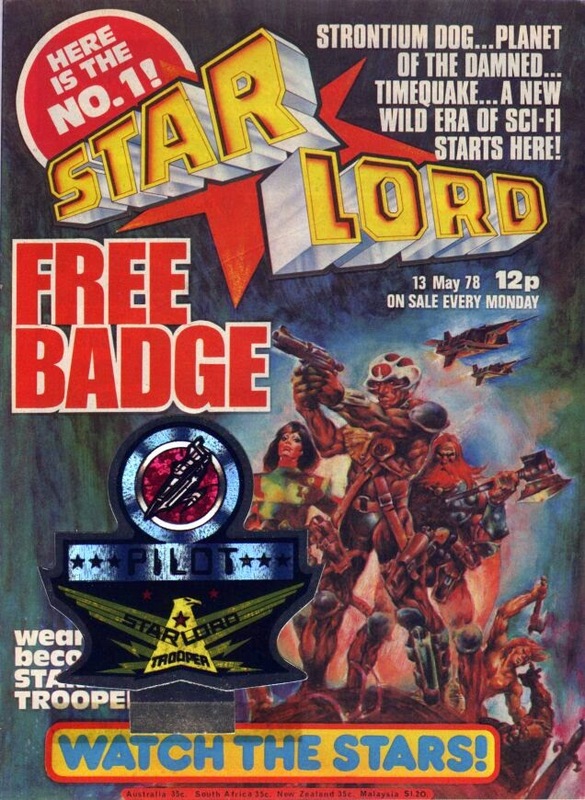 You know, the bi-weekly comic that launched Strontium Dog and Ro-Busters. 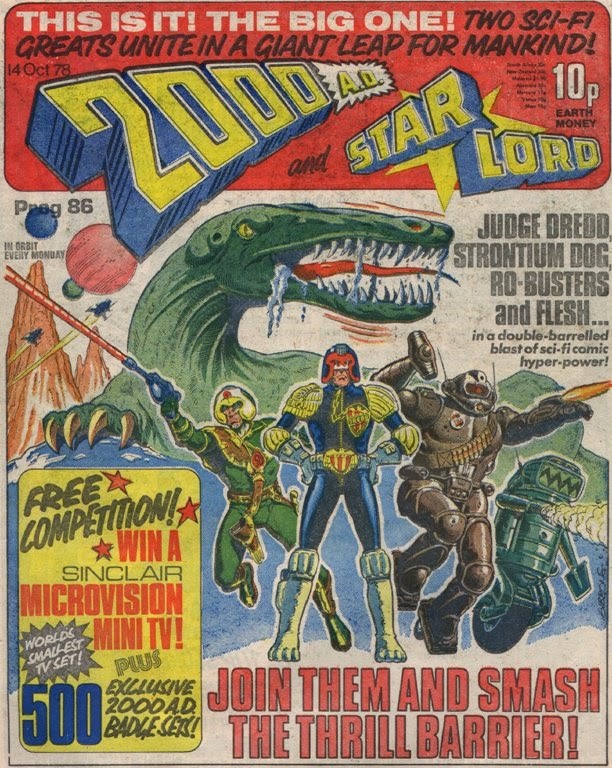 The comic sells well and is generally held to be ‘better’ than 2000AD of the same era (roughly speaking Progs 40-85). Nonetheless, StarLord is ‘matched and dispatched’ to join with its sister title. 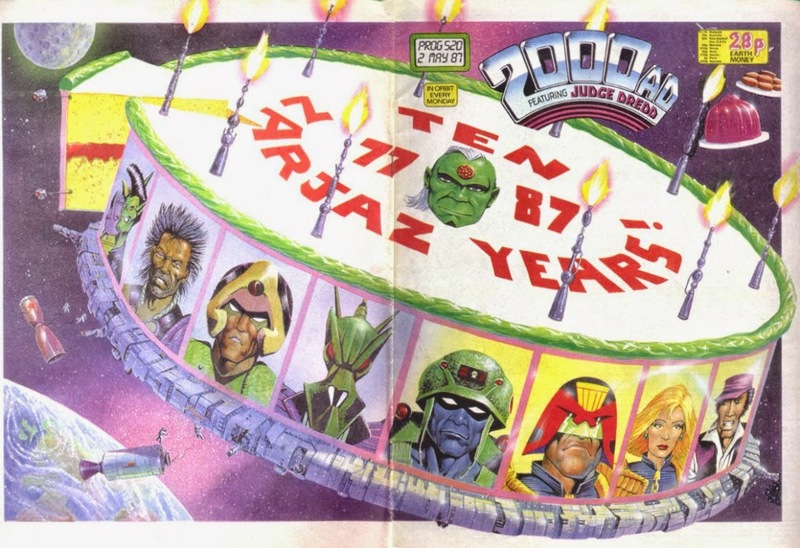 From Progs 520-1180 MacManus becomes Managing Editor of ‘the 2000AD stable’. (aka the period between the Maxwell take-over and the Rebellion rescue). 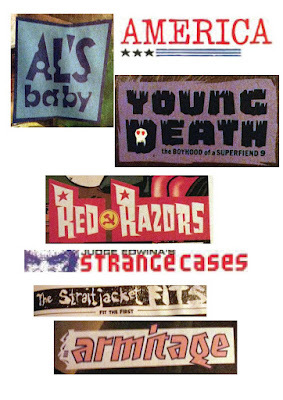 In particular he helps launch, and had a strong editorial hand in, Crisis (up to issue 50); Revolver (which only lasted 7 issues); Judge Dredd Megazine (he masterminded the development work, I beleive, and was the main editor up to issue 12). He was also involved with the running of 2000AD up until Prog 1199, and the Megazine up until issue 3.63 (after which point 2000AD moved to its current home, Rebellion, and MacManus went elsewhere). How much editorial input MacManus had on any given 2000AD Prog during this period of time I do not know. According to this informative Hibernia interview, he says he had a laissez-faire attitude; according to his interview with David Bishop for TPO he basically ceded full control of 2000AD itself to Richard Burton and Alan McKenzie. Those confessions aside, I doubt his contributions during this time equalled zero. I’m erring on the side of bigging up Steve MacManus – so I’ve totted up a heck of a lot of Progs in his name. 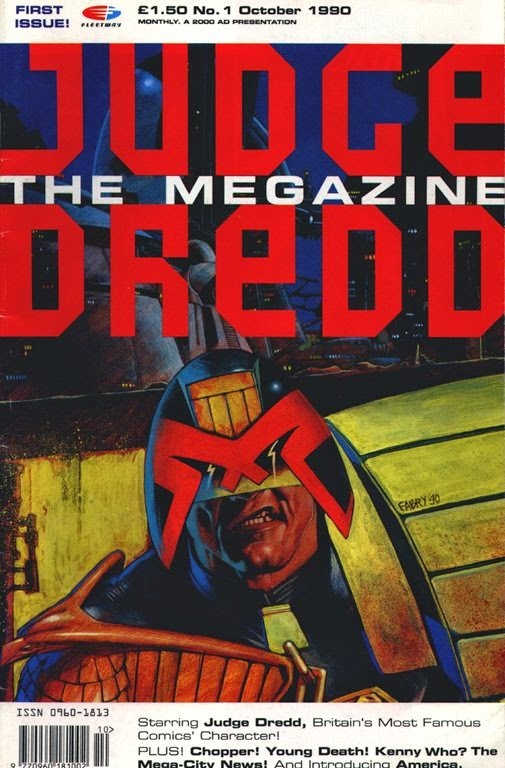 Leaving the Prog aside for the moment, let’s think about how important both Crisis and Judge Dredd theMegazine were at moving comics into a different realm. They may not have been as ground-breaking as the likes of Deadline, but they sure were trying something new, something bold, and, most especially, they really gave a chance for new writers and artists who wanted to make comics entirely for grown ups. I’m not saying this is better than making comics for children, but making children’s comics is hard, and not everyone can be a Wagner or Mills, with the talent to make stories child-friendly and sophisticated at the same time. 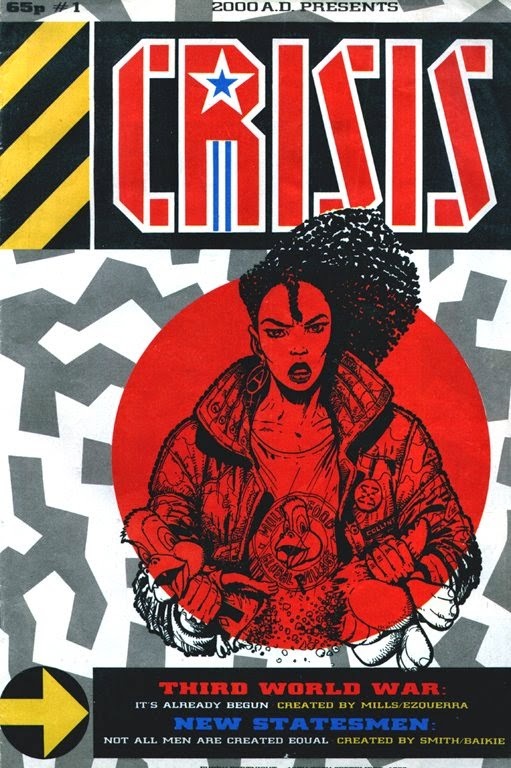 Even putting it on a simplistic level, Crisis and the Meg (at first), acted as a stepping stone for new creators who wanted to get work in the Prog (and in comics in general). Received wisdom (aka David Bishop’s analysis in Thrill Power Overload) has it that MacManus identified talented creators, did all he could to support them, perhaps most importantly lobbying for increased reprint revenue for their work, and then got out of their way to let them create the stories they wanted to tell. Now it may well be that all he had to do was look at their work, deem it worthy, and run it in the comic, but I bet he’ll have tinkered here and there in small ways that only added to the betterment of everything that saw print, and sowed seeds in the minds of these men that blossomed in their later work. Am I laying too much credit on the shoulders of one behind-the-scenes editor? I don’t think so. and the super-exciting news that MacManus has a book about his time with IPC/Fleetway coming out in the back half of 2016! ***assertion entirely made-up. Prog 1 was probably the best-selling single issue, I shouldn’t wonder. Likely followed by progs 2 and 3. TV ads and free gifts, man. 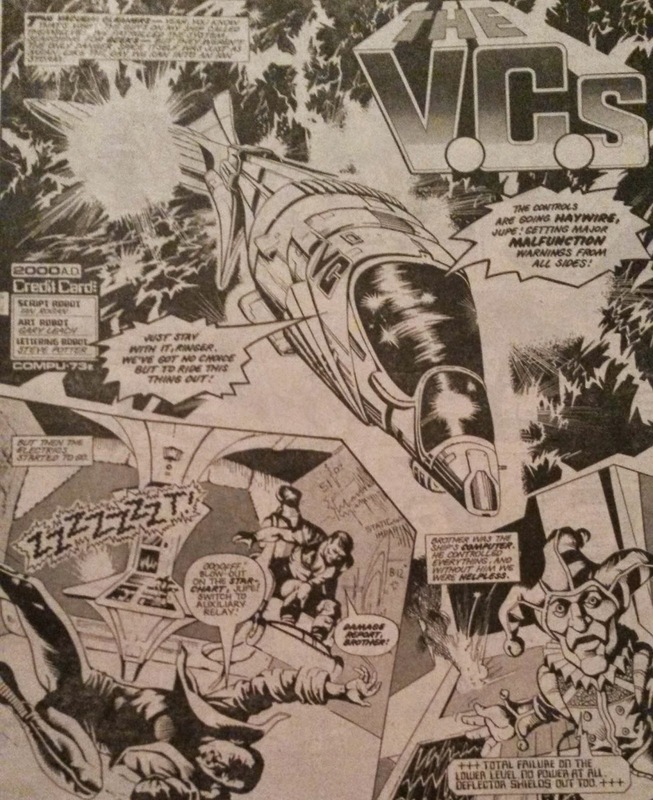 But one assumes that sales must have been pretty good in the mid 80s for the moneymen to even consider producing spin-offs such as Crisis and the Megazine, at a time when most newsagent comics had died off.